Besides looking at the window at the scenery, when traveling, I love to read and immerse myself into a good book. When C. Hope Clark was offering chances for writers and readers to review her latest book, Edisto Jinx, I jumped and was honored to get the opportunity to review it. The island backdrop took me right away back to our family trip on Tybee Island this spring. Is there any better setting than an island? Not that I can think of! This was the second Clark book I have read so I knew I already enjoyed her tone. This was true for this book as well. 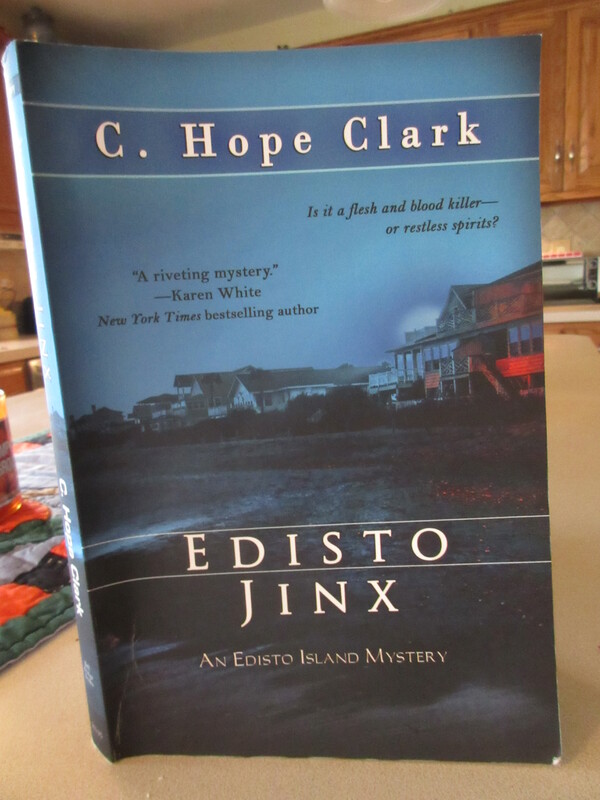 Hope Clark’s Edisto Jinx is an Edisto Island Mystery that kept me turning pages until the end. Based on an island paradise, of Edisto Beach, the paradise becomes a dangerous place each August as year after year a woman dies and no one seems to care until Clark’s heroine Callie Morgan delves head first into what she calls the Edisto Jinx. A former detective, Callie Morgan stirs things up on the laid back island. Clark does a wonderful job of weaving characters from her psychic neighbor, to her disapproving son, to the Chief of Police, into the story with the visual back image of the island as a tapestry. Grab a copy and enjoy your next ride!